Attorney Dan Stormer is flanked by Feras Morad’s father Amr to his right and Feras’ mother Amal Alkabra to his left. Photo and video by Stephanie Rivera. The family of a 20-year-old college student fatally shot by a Long Beach police officer in May has filed a lawsuit against the city of Long Beach, asking for $30 million in damages and calling for a change in police procedures. Attorneys representing the family filed the civil rights lawsuit Wednesday morning at the Los Angeles Superior Court. The complaint lists as defendants the city and Long Beach Police Chief Robert Luna for their roles in the Long Beach Police Department’s (LBPD) policies and procedures, as well as its hiring and training practices. It also lists Matthew Hernandez—the officer who shot Feras Morad—and 20 unnamed individuals whose names and actions are unknown but who plaintiffs believe played a role through action or inaction during the incident. “This morning we filed […] a civil rights action challenging the behavior of the Long Beach Police Department in the senseless and brutal killing of Feras Morad,” said attorney Dan Stormer at his Pasadena office. The plaintiffs have also asked for $30 million in monetary compensation and a jury trial. According to the LBPD, on Wednesday, May 27, Hernandez responded to the 4600 block of East 15th Street at about 7:30PM, where he came into contact with a wounded Morad, who had just jumped from a second-story window. Morad allegedly threatened to attack Hernandez in an alley while having a negative reaction to hallucinogenic mushrooms, officials added. Friends and family have disputed the account that Morad was a threat, stating instead that he was walking aimlessly with his hands in the air and in need of medical attention. Previously released 911 and dispatcher calls reveal a neighbor describing Morad as intoxicated and bloody, walking around the alley after falling from the window. Attorneys have also dismissed claims that Hernandez used non-lethal force before shooting Morad five times, twice in the chest. They said he was no closer than 5 or 8 feet from Morad. Hernandez is a 12-year veteran with the LBPD and had no prior officer-involved shooting incidents. 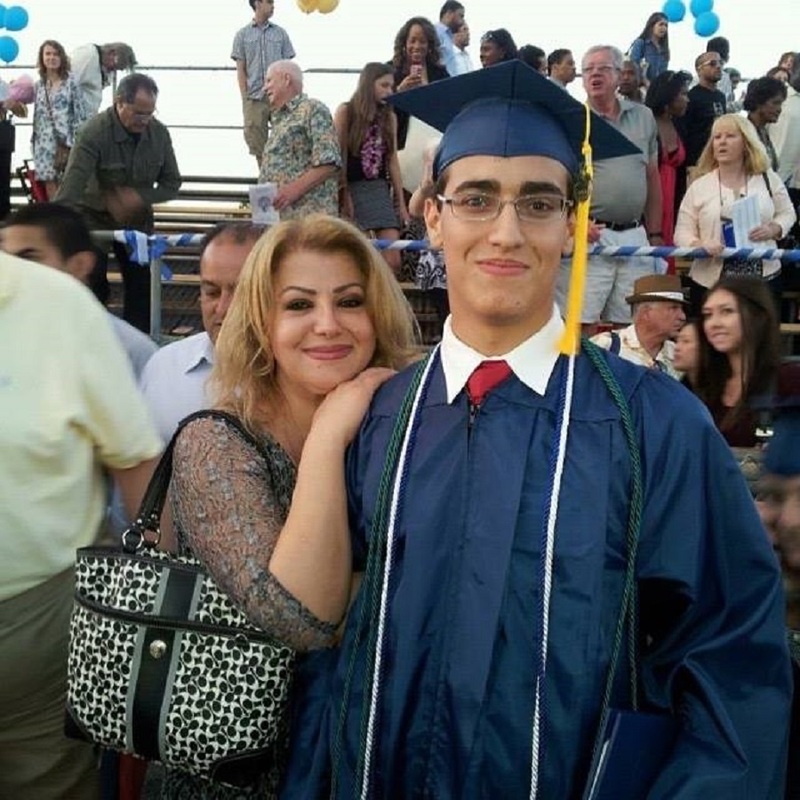 Morad, a Woodland Hills resident, was scheduled to begin attending Cal State Long Beach (CSULB) in August before he was killed. His parents said he turned down offers from such schools as UC Berkeley, UC Irvine and UCLA in favor for CSULB’s offer for a full scholarship. He planned on eventually studying at Harvard Law School and becoming a criminal defense attorney. Morad won more than 50 different academic and debate awards. He had no criminal record and had no known run-ins with law enforcement. Morad’s father, Amr Morad, said since his son’s passing it has been a lonely time, since both father and son had been living together for the last four years. Amr called Feras his friend and someone he would debate and watch films of presidents with. The family previously filed a tort claim with the city of Long Beach in July, which the city rejected a month later. Morad’s parents have filed a petition with the probate court to become special administrators of the Estate of Feras Morad. Attorneys said they have also sent a letter to the Los Angeles District Attorney’s Office demanding an investigation and criminal charges but the office has yet to respond to their request. LBPD officials have not yet responded to a request for comment.